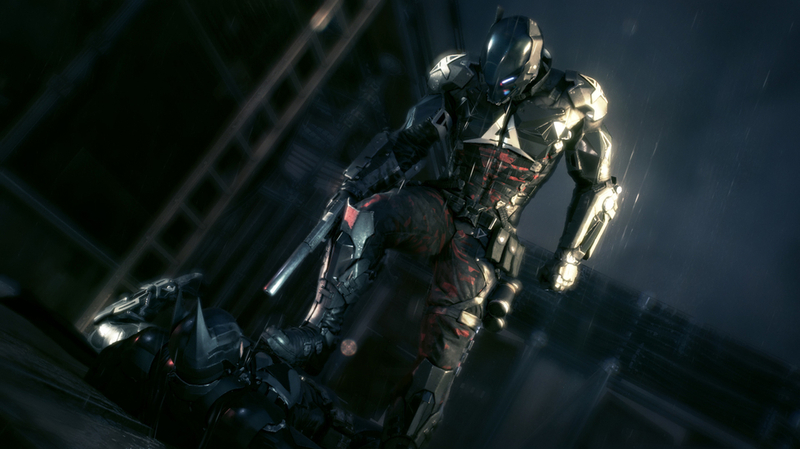 Arkham Knight was contentious at release and it’s still a hotly debated game among fans. As the fourth and final game in a critically acclaimed series, it had a lot to live up to. As someone finally playing it for the first time? I find that in some ways it's exceeding my expectations, and in other ways it’s not. No single scene illustrates the good and the bad more than Arkham Knight’s ambush in the tunnels below Gotham. This is going to involve spoilers- the plot kind, not Stephanie Brown sadly. The scene starts with Batman sneaking into enemy territory only to be jumped by the mysterious Arkham Knight/Evil Robot Batman/Definitely-Not-Red-Hood. What follows is a long cutscene, which has become increasingly common in Knight. While the Knight comes off as being dangerously savvy of Batman’s strategic habits, he also ends up looking like kind of an idiot. Sneaking up on Batman is extremely difficult and the Knight shows that he knows where the weaknesses are in Batman’s armor, but in spite of his clear intent to kill he leaves Batman to his goons instead of, y’know… shooting him in the mouth. This comes off as a cheap deus ex. Following this, we get a cool moment where one of the goons tries to kick Batman and the player gets to counter the kick, then fight off a whole room of thugs. It’s frantic and brutal, and the combat is swift and awesome. Rocksteady really tightened up the combat to its peak form. This is followed closely by a tank embedding itself in a wall and trying to shoot at Batman while he sees a hallucination of the Joker mockingly goading him on. This is very comic book-y, but in a way that feels fitting and allows for an intense moment of conflict on multiple levels without stopping gameplay. The player is in full control here. Finally, the scene caps off with the Batmobile. It’s everywhere in this game, forced into so many scenes. It begins to feel like Arkham Car after a while. Driving it feels smooth and remotely using it as a tank to blow up a bunch of other tanks to allow Batman to escape is actually pretty creative and satisfying, but it’s used so frequently that it becomes grating. 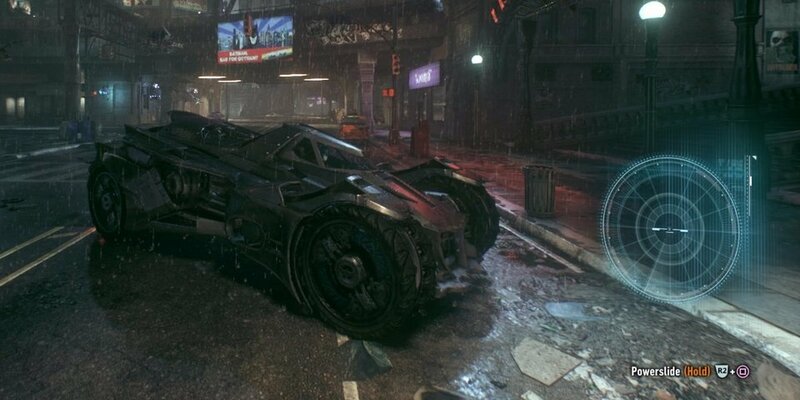 It’s like Batman can’t do anything without his car in this game, and it starts to feel suspiciously like the entire scene only existed as an excuse to set up another Batmobile segment. So overall I find the game to be ambitious, but deeply flawed. A shame in a sense, but also better than safe and uninspired I'd say. Quotes, lyrics, sayings, and other ideas for Instagram captions! Here are Quotes To Use As A Caption/ Lyrics To Use As A Caption/ Quick Little Sayings To Use As A Caption: for your Instagram photo that you wish to post! 1. Life goes on, with or without you. 6. Don't be a liar, everyone hates a liar. 7. Chillin' with my peeps. 10. The most important thing is to enjoy your life – to be happy – it's all that matters. 11. Life is not a problem to be solved, but a reality to be experienced. 12. Life is a gift. 13. You couldn't handle me even if I came with instructions. 14. Forgive, yes. Forget, never. 15.There's a hole in my heart where you used to be. 16. I don't need any part-time people in my life. 18. Boy, it's the 21st Century, get with the program. 19. Hey, I just met you, this is crazy! 20. I woke up like this. 21. Keep smiling because life is a beautiful thing and there's so much to smile about. 22. Beauty is power, a smile is its sword. 23. Last day of class! 25. Got my donut and coffee today. 27. Beach days are the best! 29. Always classy, never trashy, and a little bit sassy. 31. With you, I forget all my problems. With you, time stands still. 32. Life's a climb, but the view is great. 33. "Ohana, means family, family means no one gets left behind or forgotten." — "Lilo & Stitch"
34. We come to love by not finding the perfect person, but by learning to see the imperfect person perfectly. 35. If I ever write a story about my life, don't be surprised if your name appears a billion times. 36. She's got that red lip, classic thing going on. 37. I don't know what's tighter, our jeans or our friendship! 38. Best friends make good times better and hard times easier! 40. I don't need your approval to be me. 41. So call me? Maybe? 43. Take me as I am, or watch me as I go. 50. I am not perfect. I make mistakes. But when I say sorry… I mean it! 51. Me? Weird? Please! I am limited edition! 52. Turn that frown upside down. 53. Smile, it's the best thing a girl can wear! 55. Laughing is the best medicine you can ever get! 58.Throwing it back to the good ole days! 60. I know you like, first-name-basis. 64. My thoughts are stars that I cannot fathom into constellations. — "The Fault In Our Stars"
67. This has got to be the best day of my life. 68. She's the beauty and he's the beast. 71. "Hakuna Matata, it means no worries for the rest of your days." — "The Lion King"
72. "The past can hurt. But the way I see it, you can either run from it, or learn from it." — "The Lion King." 73. "Remember you're the one who can fill the world with sunshine." — "Snow White and the Seven Dwarfs"
74 . "The flower that blooms in adversity is the most rare and beautiful of all." — "Mulan"
75. "You don't have time to be timid. You must be bold and daring." — "Beauty and the Beast"
76. "All it takes is faith and trust." — "Peter Pan"
77. "A little consideration, a little thought for others, makes all the difference." — "Winnie the Pooh"
78. "If you focus on what you left behind, you will never be able to see what lies ahead." — "Ratatouille"
80. "A true hero isn't measured by the size of his strength, but by the strength of his heart." — "Hercules"
81. "Life's not a spectator sport. If watchin' is all you're gonna do, then you're gonna watch your life go by without ya." — "The Hunchback of Notre Dame"
82. "The things that make me different are the things that make me ME." — "Winnie the Pooh"
83. "Giving up is for rookies." — "Hercules"
85. "Change is good." — "The Lion King"
100. Life is like a camera, we focus on the positives and develop from the negatives.